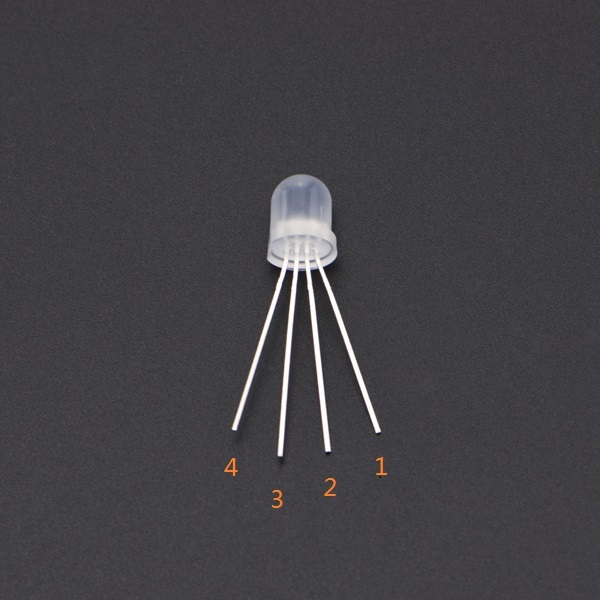 This is a kind of chip_inside LED, so you can control each LED individually! It will be great wonderful when you change the color. And for the control of the LEDs, it only need one digital pin of your Arduino whose MCU power supplies from 3.3V-5V. 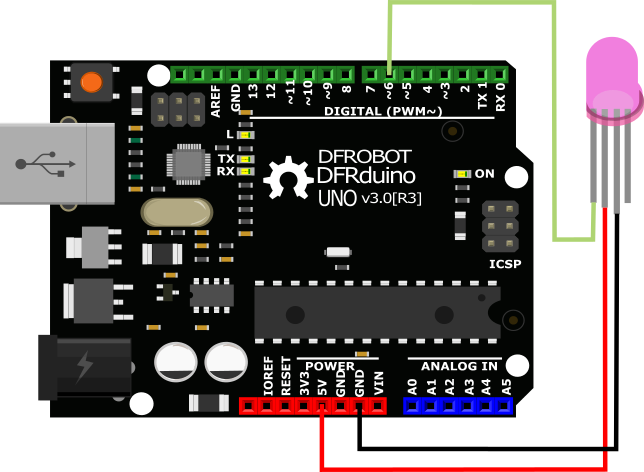 It is using single thread zero yards communication protocol,"DIN" will receive the contrtol signal and transmit to the next LED via "DOUT" port. So these LED could be cascade connection, and individual control. It is amazing if you want to show some beatuy with LEDs. 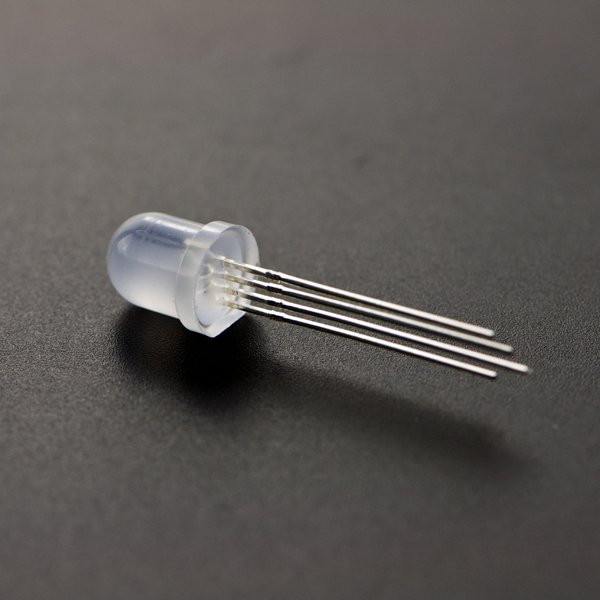 Get Digital RGB LED (SKU:FIT0401) from DFRobot Store or DFRobot Distributor.